Yes I/we agree to abide by the Rules and Conditions of the Master Music Festival as set out in the below and accept all responsibility for the above named entrant(s). Yes I/we agree to allow the Master Music Festival officials or to take photographs, video and audio recordings for publicity purposes. Out of interest how did you hear about us? The following Entry Categories are available as a printable PDF. Each participant will receive written feedback. Medals and Certificates will be awarded to participants who achieve 1st, 2nd and 3rd place. 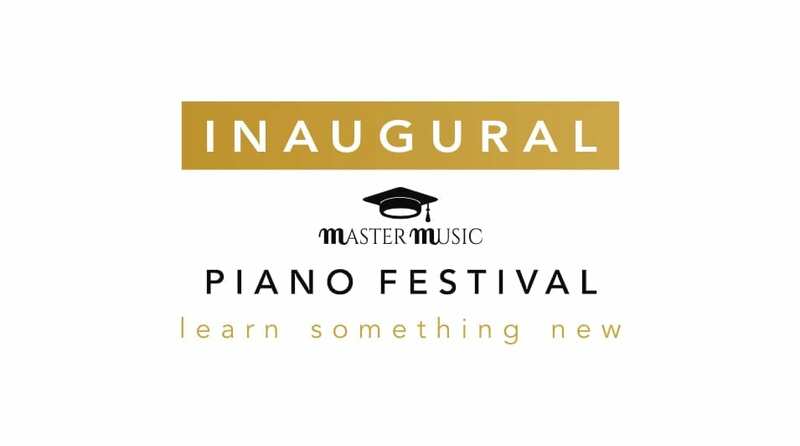 * Participates in the advanced category may choose a piece of any grade for the piano published by Master Music Publications. In addition - to the feedback, certificate and medal - the participant awarded 1st place will be given a signed score of The Eccentric Piano Student, Russian Dance No. 1 by Michael Harvey for Small Hands and £10. In addition - to the feedback, certificate and medal - the participant awarded 1st place will be given a signed score of Circus Polka, Russian Dance No. 2 by Michael Harvey for Small Hands and £25. In addition - to the feedback, certificate and medal - the participant awarded 1st place will be given a signed score of Russian Dance No. 3 by Michael Harvey and £50. In addition - to the feedback, certificate and medal - the participant awarded 1st place will be given a signed score of Russian Dance No. 4 by Michael Harvey and £100. In addition - to the feedback, certificate and medal - the participant awarded 1st place will be given £150 and a signed CD of Ji Liu's Fire and Water. The following Safeguarding Policy are available as a printable PDF. The Master Music Festival, is committed to ensuring a safe environment for children and young people and believes that it is always unacceptable for a child or young person to experience abuse of any kind. We recognise our responsibility to safeguard the welfare of all children and young people, by a commitment to recommend best practice which protects them. This policy applies to official representatives of Master Music Publications, Master Music Festival and other trading names of Master Music Publications Ltd, paid staff, Adjudicator/s, volunteers, participants or anyone involved in the running of the Master Music Festival. It applies especially to children aged 18 or under and recognizes the differing needs of individual children and those from ethnic and other minority groups. It also applies to entrants with special needs or disabilities and insofar as applicable to vulnerable adults, where their needs are notified to the festival prior to attendance. appointment of Festival Safeguarding Official/s - who hold a current enhanced DBS check - to deal with any problem that may arise during the festival. A single, definitive Safeguarding Policy adopted by the festival as enclosed in this document. One or more designated Festival Safeguarding Official (FSO) will be appointed each day of the festival. Best practice advice will be taken from the ISM Safeguarding & Child Protection Policy, Code of Practice and Procedures which includes clear reporting procedures for anyone with a concern about a child. The FSO will follow the advice by the ISM Safeguarding & Child Protection Policy, Code of Practice and Procedures. All FSO hold a current enhanced DBS check (formally CRB). The festival will be assisted by paid staff, volunteers and music professionals, adjudicators that may not hold a current enhanced DBS check. All Festival personnel wear a visual identification, if festival personnel become aware of a problem or should a problem arise the festival personnel will refer the situation to the FSO on duty. All teachers/parents/guardians/carers are asked to report all incidents of any nature to the designated FSO on duty. The FSO on duty will ensure the availability of a quiet area or room where concerns can be expressed in private. For the duration of a Festival all teachers/parents/guardians/carers are responsible for the continuous care and supervision of their own children/pupils. If they are unable to attend personally, they must delegate their responsibilities to an identified adult and ensure that their children/pupils are aware of the identity and name of the person responsible for their care. This includes supervision throughout all Festival spaces, practice, rehearsal and changing areas that may be provided. An unaccompanied child will not be allowed to participate in the Festival. The Festival is independent of the venues in which the events take place. Whilst every effort is made to provide a safe environment at all times for all, those under the age of 18 remain the responsibility of parents, carers, guardians, and teachers who should be aware of potential dangers such as but not limited to uneven surfaces. Performers, teachers, parents, guardians, and carers should be particularly aware that there may be hazards backstage and in practice and rehearsal areas. The Festival cannot take responsibility for any property, whether left unattended, stolen or damaged. The venue forbids the use of photography or video recording of any performance under the age of 18, including that of your child/young person. You are permitted to take an audio recording of your child's performance. You may not audio record a performance by a child or young person you are not responsible for. Where parents/guardians/carers do not wish photos to be taken at all, then the responsible adult attending should ensure that their child is not included in official photos, and should inform the FSO on duty. The Festival’s Safeguarding Policy and approach to Creating Safer Festivals for Everyone are published in our Syllabus, Programmes and Website. By completing and signing our entry form all parents / guardians / carers and teachers of competitors under 18 (or vulnerable adults of any age) confirm that they give (or have obtained) the necessary consents for the competitors to take part in the Festival. Without consent the entry to the Festival is forbidden. Master Music Publications Ltd will review this Policy prior to the festival, improving it as necessary. The following Rules and Conditions are available as a printable PDF. The Festival caters for all abilities. Those who derive their main source of income from performance may not enter competitively but may enter non-competitively. Those who receive a small reward or fee for performance or teach may participate competitively. The performer's category (novice, intermediate, advanced) should be based on their professional teachers assessment. If an applicant does not have a regular teacher and would wish to enter and unsure of their their level, please contact the festival organiser for assistance. Entrant/s must abide by the regulations of the category they enter. If regulations are not followed they may not be allowed to perform or be changed to a non-competitive entry. In line with our Safeguarding Policy, Children 18 and under must be accompanied by and remain the responsibility of parents, carers, guardians, chaperones and/or teachers. Performance from memory is not compulsory. If a page-turner is needed competitors are asked to make appropriate arrangements. All competitors must provide the adjudicator with sheet music. See section 3. Competitors must be smartly dressed appropriate for a concert performance. Age limits are reckoned on the 1st of March 2019. Entries can be made on the festival’s website (https://mastermusicpublications.com/festival_2019), the appropriate form must be received no later than the closing date of May 4th 2019. If you wish to enter by post please send a letter with an enclosed stamped addressed envelope, containing the competitor/s name, age, ability and competition category to Master Music Publications Ltd, 26 Shelley Close, Hertfordshire, WD6 2AU. Late or illegible entries may be refused. The responsibility to electronically complete the entry process is the entrant's - the festival and its partners shall not be responsible for any entry not received due to incomplete, improper transmission or technical fault. The Festival and its partners have no obligation to advise the entrant of an incomplete entry. If you are having trouble completing the online form please contact us as soon as possible at info@mastermusicpublications.com. After submitting the completed online form, payment will then be requested. The Festival's website accepts all major cards, PayPal, ApplePay and Amazon Pay. For postal entries, an alternative payment method will be available, and details will be sent in response to your entry. Please note that due to considerable costs and planning required in hosting the festival entry fees are non-refundable. The organisers of the Festival reserve the right to refuse any entry without explanation - any fees if paid will be refunded. The Festival reserves the right to substitute or appoint another adjudicator/s due to unforeseen circumstances. The Adjudicator’s decision shall be final and no correspondence can be entered into changing such decisions. Any form of communication by or on behalf of a competitor with the adjudicator prior to the competition may render the competitor liable to disqualification. Current pupils of the adjudicator may not compete in any class judged by that adjudicator. The adjudicator may stop any performance prematurely by ringing a bell if the allotted time has been exceeded. Competitors must recognise that using or providing an unauthorised photocopy of the sheet music for performance or the adjudicator is illegal unless the publisher is a member of the MPA or The Music Publishers Association (6th Floor, Two Pancras Square, London, N1C 4AG), then you may provide a photocopy for the adjudicator as long as you perform from a purchased score. If the competitor performs from memory, the competitor must provide the adjudicator with the purchased score. For digitally downloaded music the same rules apply and you must bring to the festival proof of purchase. If the publisher is not a member of the MPA and you perform from music, you must purchase an additional copy for the adjudicator or seek permission from the copyright holders to copy the music for adjudication. It is the competitors’ own responsibility to ensure that they seek permission to copy directly from any copyright holder whose name does not appear on the MPA’s list. Master Music Publications Ltd is currently not an active member of the MPA. Failure to provide the adjudicator with an appropriate score as outlined above will result in the entry being disqualified. Photocopies lawfully made for adjudication will be retained by the Festival and destroyed. Original copies may be purchased from Master Music Publications Ltd, Amazon UK, Musicroom, Perfect Pitch, 72 The Broadway, Chesham; St Albans Music Centre, 38 Holywell Hill, St Albans; Chimes Music Shops (Academy Chimes, Kensington Chimes, Barbican Chimes and Ealing Chimes). The order of competing will be decided by the Festival. The Festival will endeavour to avoid difficult times for candidates if a note is included with the entry form, but this cannot be guaranteed. Competitors must perform on the allocated time and date, an alternative will not be offered. Each performer must be present at least 15 minutes before the given time on their scheduled class time, although efforts will be made the festival cannot guarantee a warm-up space/instrument. The Festival reserves the right to hold competitions on dates and at places other than those notified in the syllabus. Any class may be withdrawn or rearranged should the number of entries warrant it. A notification showing the dates and times of all classes entered by each competitor will be emailed to the address shown on the entry form not less than two weeks before the date of the first class. Any competitor who has not received a notification two weeks before the beginning of the Festival should contact Master Music Publications as soon as possible. The Festival will use the Festival's website and Facebook page for notifications, particularly urgent or last-minute ones, please check before travelling. The Festival Programme will be available for purchase at least 2 weeks before the start of the Festival. Unpleasant behaviour towards our volunteers, adjudicators or other competitors will not be tolerated and you may be asked to leave. Soliciting of business is not permitted at the Festival except by prior arrangement. No flash photography is permitted during the performances This is to avoid disturbance to the performers, adjudicator and audience. Please note you may only use you may not use photography, video or audio recording of a performance by a child or young person or another competitor you are not responsible for, see Safeguarding Policy. Any complaint must be made in writing and signed and must reach Master Music Publications Ltd within two working days of the Competition concerned. Verbal complaints will not be entertained. The decision of the Committee in all questions of disputes arising out of these regulations or not provided for by them shall be final.The competition reserves the right to photograph, record, film and web-stream or broadcast any part of an over 18’s performance. Competitors must grant the competition the sole and exclusive right to use of these photographs and recordings in perpetuity, and irrevocably waive, in favour of the Festival its assignees and licenses, the benefit of all moral rights and performer’s rights arising under the Copyright, Designs and Patents Act 1988 or similar rights, arising under the laws of any jurisdiction. No fee is payable to any competitor on account of these performances or any recordings or broadcasts of them (whether live, streamed, on the internet or otherwise), and no contact with the media must be made by any competitor for the duration of the competition. The Competition Administration reserve the right to amend any of the rules or regulations contained herein if it is considered necessary to give proper efficacy to the running of the Competition. Receipt of the entry form/s implies acceptance of these Rules. Don’t miss these unmissable events!